Lodged with the patent holder friendly Eastern Texas District Court, Uniloc's latest suits leverage intellectual property reassigned from 3Com. A first suit alleges infringement of U.S. Patent No. 6,622,018 for "Portable device control console with wireless connection." Filed for in 2000, and subsequently granted in 2003, the patent details methods of controlling remote devices over wireless protocols including Wi-Fi and Bluetooth. 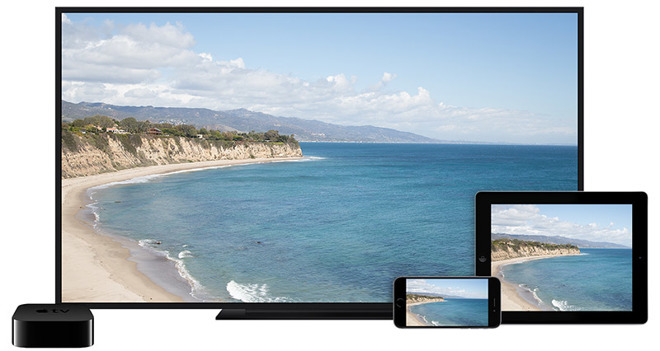 Uniloc argues Apple's AirPlay, Apple TV Remote app and Apple Home infringe on the '018 patent. AirPlay allows users to stream audio, video and other digital content from iOS and macOS devices to each other as well as Apple TV, compatible speakers, receivers and other hardware. The Apple TV Remote app for iOS presents a graphical representation of the Siri Remote for controlling Apple's set-top box, while the Home app uses Wi-Fi and Apple TV (or an iPad) to control smart home accessories. Apple in June announced AirPlay 2, an advancement of the proprietary protocol with improvements like multi-speaker control. Stylus input, or the mirroring of stylus input on a remote display, is specifically mentioned in the IP. Currently, Apple's iOS and macOS operating systems do not rely on stylus input for UI control. A second case involving U.S. Patent No. 6,161,134 for a "Method, apparatus and communications system for companion information and network appliances" and No. 6,446,127 for a "System and method for providing user mobility services on a telephony network" takes issue with iOS and macOS Continuity features. Issued in 2000 and 2002, respectively, the '134 and '127 patents detail methods of transmitting data from a computer to a telephone, as well as exchanging voice and data messages from a telephone to other devices on a given network. In particular, Uniloc is targeting Continuity's telephony features, which allow users to make phone calls on Mac or iPad when those devices are connected to an iPhone. Today's lawsuit is the latest in a parade of litigation Uniloc has filed against Apple over the past four months. In June, the patent troll leveled three lawsuits alleging infringement of multiple patents covering motion monitoring technologies developed by tech inventor Philippe Kahn. Specifically, those suits leveled claims against wake-from-sleep features powered by Apple's M9 and M10 motion coprocessors, step counter accounting for inclines and general motion tracking technology. A month prior, Uniloc alleged infringement of three separate patents developed by HP and 3Com relating to AirPlay, autodialing phone numbers from Contacts and device batteries. A month before that, the non-practicing entity sued over three patents targeting services like Maps, Apple ID and remote software updates. Uniloc is widely viewed as one of the most active patent trolls in the U.S. The NPE makes money by using reassigned patents, or vague original IP, to sue high-profile tech firms. Past lawsuits targeted Activision Blizzard, Aspyr, Electronic Arts, McAfee, Microsoft, Rackspace, Sega, Sony, Symantec and more. The recent rapid-fire attack follows an initial complaint against Apple lodged in June 2016, which claims Messages infringes on four Uniloc-owned patents. As usual, Uniloc in today's court action seeks unspecified damages, reimbursement of legal fees and other relief deemed fit by the court.